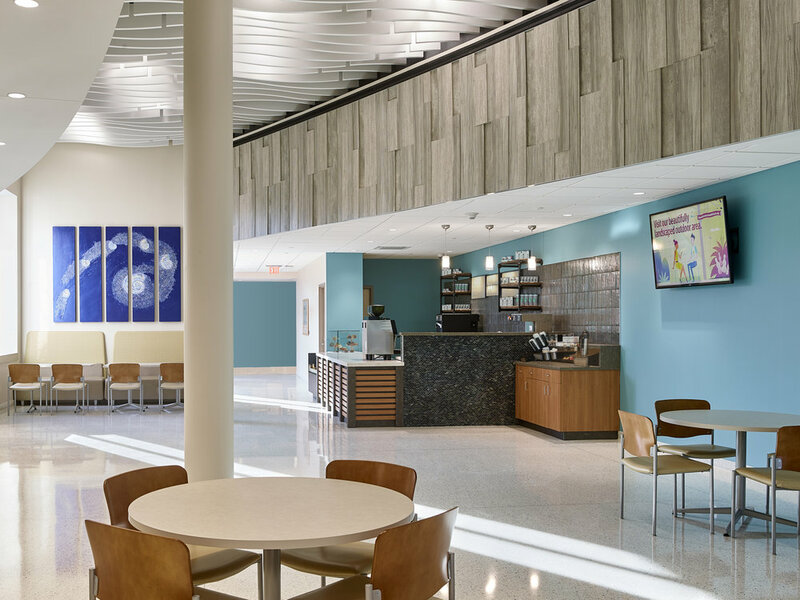 After completing a ground-up Health Park in Manahawkin, NJ, Atlanticare Regional Medical Center wanted to create a food service area within a vacant vestibule region. Originally contracting with an equipment planner only, the health system realized it needed a team to help bring creativity and functionality to the overall design, creating an experience that would enhance the new Health Park’s brand. 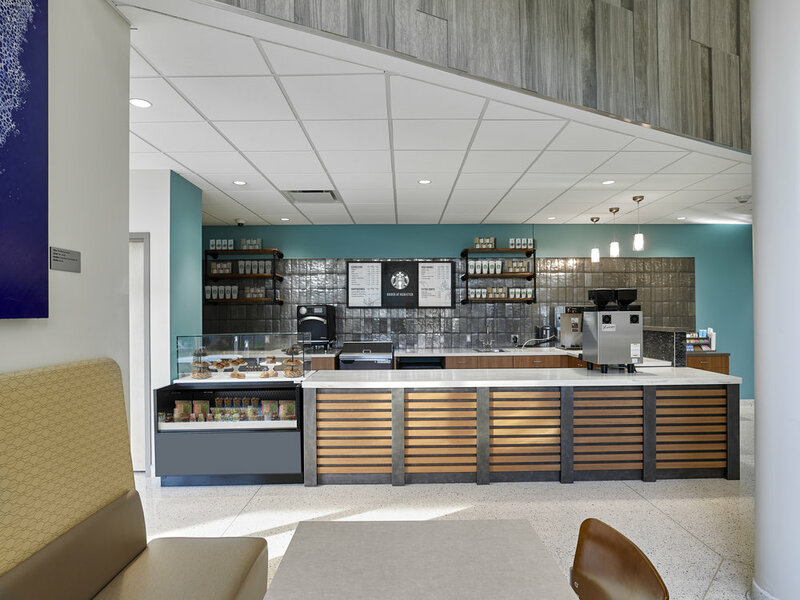 The re-imagined design utilizes materials, such as, metallic glass wall tiles, wood slated panels and Corian with a concrete appearance, to not only work in conjunction with the existing building’s aesthetic, but also resemble those of a modern-day Café. In addition to providing design services, the team also developed over head signage concepts, incorporating striking blue, curved 3form panels with the café logo attached.